Hadfield Wood Recyclers is one of the oldest wood recycling companies in the UK and a founder of the Wood Recyclers Association, the industry’s trade association. Growth does not come without its challenges, however, particularly for a business that is keenly aware of its surroundings and environmental impact. A UK leader in developing environmentally sound solutions for the use of recovered wood, the former farmland is now in a heavily populated area. 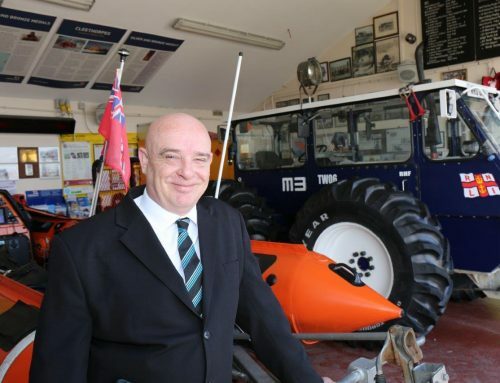 “We have great respect for our neighbours and work in a way so as to reduce our potential to become a nuisance,” says operations manager, Neil Ogden. As a result, night work is largely restricted to indoors, whilst a surrounding wall, dust and noise monitors, and fast turnaround of loads, all help keep disruption to a minimum. 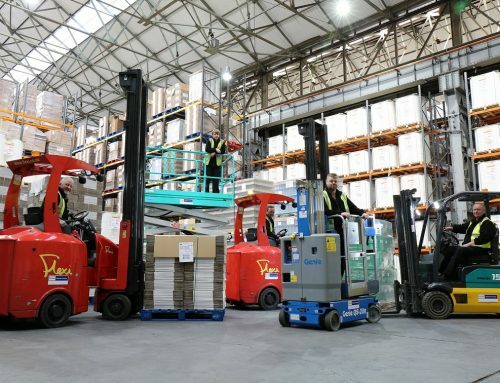 In fact, having two forklifts available to simultaneously unload lorries speeds up the process, and was part of the original brief to Windsor’s Mark Welsby. Neil was surprised to see the dramatic differences in fuel usage (“a real eye-opener” he says). A last-minute claim by a competitor to prove otherwise, failed to impress a now-skeptical team, particularly for Neil, who believes good support and honesty are critical. Windsor has itself spent a great deal of time focusing on providing customers with exceptional service and support. In busier months, the baler, producing packs of equine, poultry and cattle bedding, can be running round the clock. 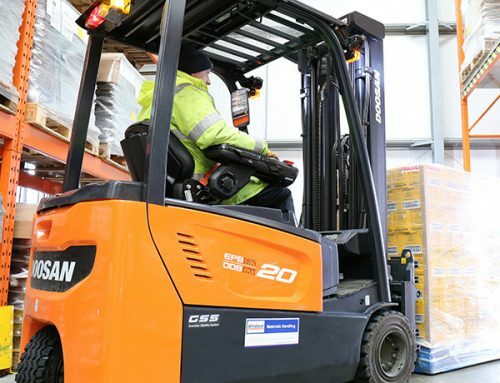 As well as loading the finished packs, the five-strong fleet of forklifts are there for loading up to eight vehicles a day, engineering work and handling raw materials. 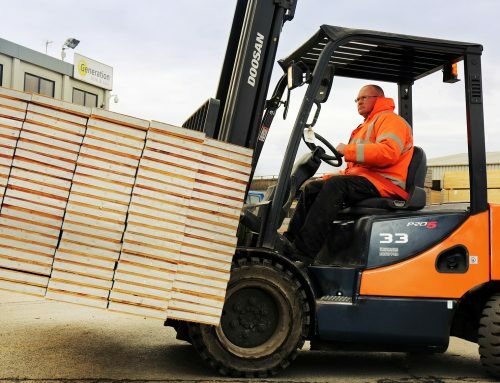 Hadfield also recycle wood into panel board, arena surfaces, play area surfaces and filter beds and were the first wood recycler in the UK to sign a long-term contract with a large domestic biomass station. Today they are a leading player in the UK’s biomass market, both large and small scale. In 2009, the company also secured one of the UK’s largest waste wood contracts: a five-year contract with Viridor, on behalf of the Greater Manchester Waste Disposal Authority. In a competitive arena, efficiency is crucial to the business’s overall success. The quick turnaround of the delivery lorries is obviously something Neil and his team take great pride in. 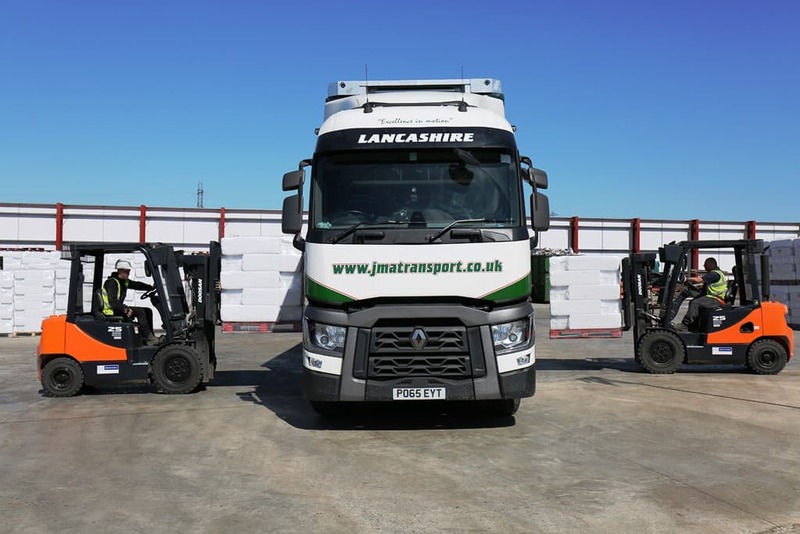 There’s no lost time and even the logistics partners, JMA Transport, have adapted their lorry fleet to match. For Mark, that flexibility translates to changes in the Doosan forklifts to make them ideally suited to the application. Front screens were modified with protective guards, whilst light brackets were also changed to reduce costly damage.